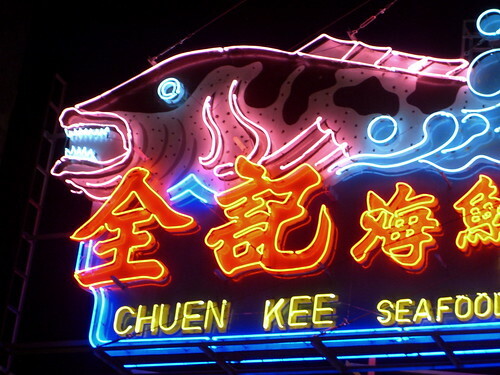 Bamboo clam, snails, chicken feet, scallops, some crawfish like thing, veggies, and noodles. I love it when product recommendations from my “internet friends” arrive on the same day, are unrelated, and yet somehow complementary. 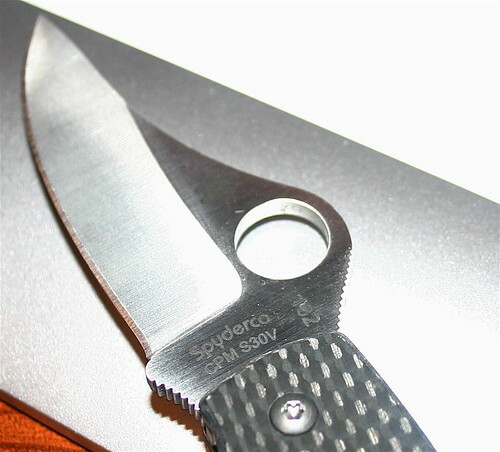 I was lured to the G10 Delica by Wouter’s blog and picture-rich posts in the Spyderco Forums. 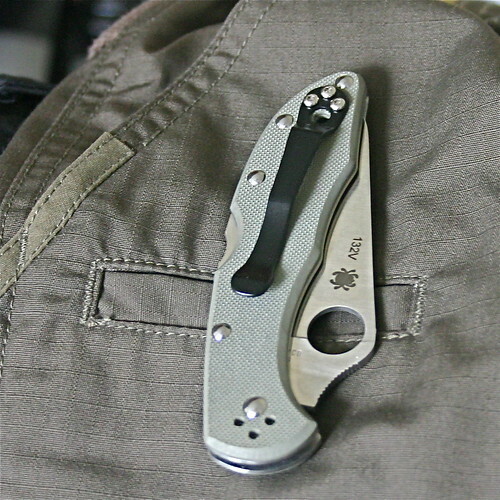 I love my old FRN Delica but had stayed away from the new designs because… well, dammit they’re not as pointy. SIMULTANEOUSLY I receive my new tactical internet pants which I ordered after hearing the crazies on Macbreak weekly (initiative spearheaded by Andy Ihnatko.) I have some of the dockers cargo pants, which are nice, but these seem like they’re going to be an upgrade. They fit really well and true to size. Talk about pockets. I think I’ll wear them on my travel day next week. I will review both the haberdashery and cutlery in upcoming segments. 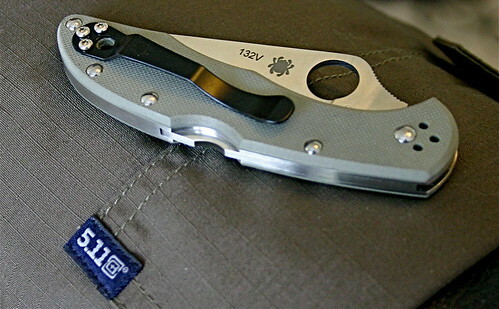 It was designed by Ralph Turnbull and has a Neodymium NdFeB Magnet which keeps the blade closed or open. The clip is reversible and lefty-friendly. The wire clips are fine and cause less damage if you inadvertently bump into something. The S30V steel keeps its edge for a long time, I don’t even think I have touched this up yet. Dual liners and interesting cutouts on the choil. Not sure what they are for… traction? I love the “Rare Earth” ID on the stamp. 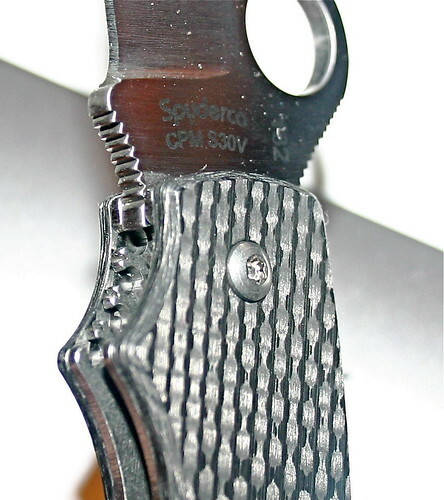 Classic Spyderco. I wish it had slightly more point and less belly, but its nice and light and a snap to open and close for light duty. The magnet provides just enough resistance. Sometimes it gets grabby and attaches to my Micra when kept in the same pocket, but its a small inconvenience for such a unique piece. 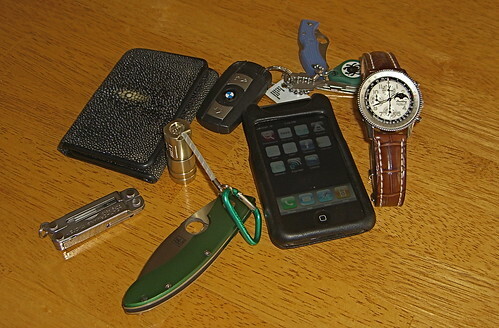 edc, originally uploaded by Rorschach. Wow. The archive of this site had issues. Today I had the equivalent experience of walking into your attic and discovering an entire wall missing. Somehow when I changed over from moveable type to wordpress, EVERY post that had quotes, an apostrophe, or non-standard text formatting was screwed up. Pictures were missing, comments blown away, and huge blocks of text gone. I pieced it back together with the help of my own backups and the internet wayback machine. Sorry, I think its been messed up for quite some time. Anyway, all fixed now. Back to our regularly scheduled programming.